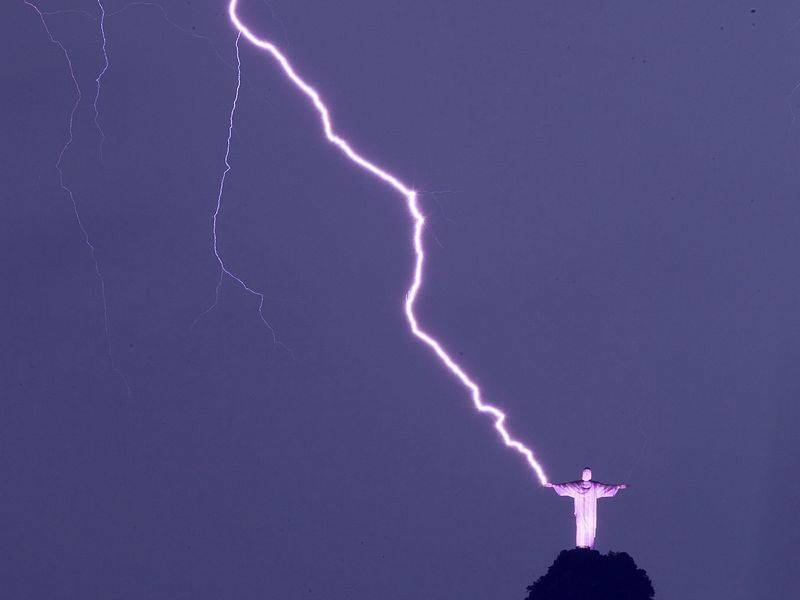 "Thunderbolt at the Corcovado". 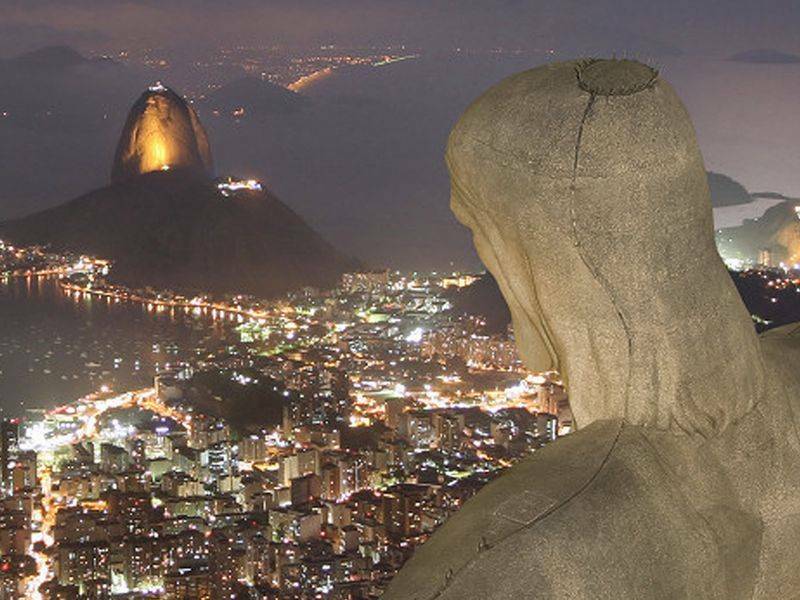 No, it is not the title of a bad sentimental film but an allusion to the many flashes that strikes the statue of the Christ the Redeemer every year. And yes, it is a fairly common phenomenon, and sometimes it poses many problems, but it is above all a phenomenon that had to be taken into account during its construction and which must regularly be part of the improvement works. 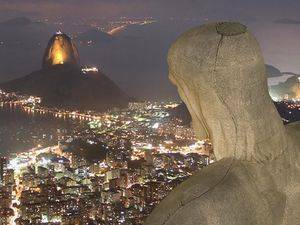 In fact, there are about 4 to 6 flashes that hit the statue each year according to the Brazilian Institute of Space Research. On average, a blow every 2 to 3 months, but in practice they are condensed during the rainy season. We must not forget that we are in a tropical region, and Rio is a very extensive city but has retained much of its vegetation. This is where the largest urban forest in the world is located. The city is literally included in the rainforest, heat and humidity are very important. Moreover, the statue is on one of the numerous peaks which surround it, at 710m of altitude, on a peak of granite. Normal therefore that it regularly receives thunderbolts. In recent years storms have become more and more violent, according to Brazilian meteorologists. Due to global warming, they cause anomalies in the intensity of the strikes as well as in their frequencies. In recent years, there have been a few storm events recording more than 1,000 flashes, which have not occurred before. This remark by Dr. Osmar Pinto, head of the Atmospheric Electricity Group at the Institute is relevant, it is indeed a finding. 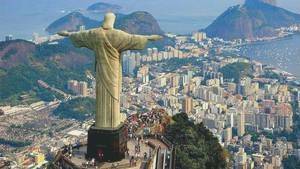 Now the Corcovado is made of granite, a rock that evacuates electricity very badly. It is necessary to review the structure of the statue and periodically review the grounding system of the lightning conductors. To channel the electricity of lightning the statue has a conductive cable which covers the top of the head, forming a sort of crown of thorns, the cable extending to the arm. Part of the work to do is to extend lightning rods to the fingertips to protect the hands from lightning. Another equally important job is to improve the earthing of the cables because the better the grounding, the better the safety of the installations in the vicinity. Beginning with the safety of the statue itself. In 2014 the lightning damaged a finger of the statue. The repairs lasted for weeks at a cost of $ 500,000, a considerable sum justified by the lack of access to the workspace, 50m above the ground. Apart from the construction costs, it is also necessary to take into account the fact that visitors are hampered by the work, resulting in a loss for Brazilian tourism. Christ the Redeemer is still visited by 3 million people, it is difficult to voluntarily reduce this flow for purely technical reasons. Yet it is necessary to do this work at the same time, to improve the anti-lightning system and to welcome visitors to ensure the perenniality of this world-class site. Especially as in time, storms will be more and more violent and the statue will gradually age.